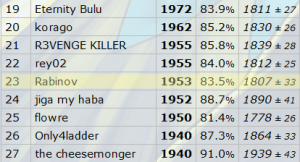 Dominating the OU ladder and pulling the wool over his opposition’s eyes, Rabinov shares his secrets; expect lots of fluff! After a long hiatus, I’m bringing back nothing but the hottest of competitive content for PokéCommunity Daily. Today is time for a team reveal which I’ve been using recently on the OU ladder, which has netted me a spot in the top 50. 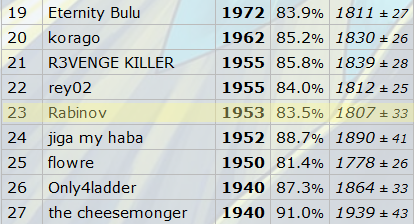 I wasn’t expecting it to get very far, however it seems that knowledge of the metagame prevails over the individual strength of a Pokémon itself, as seen by Shedinja currently holding the top 3 spots on the ladder. Currently I am sitting around this number; as is said, the numbers speak for themselves! Enough of the chit-chat, let’s get down to the team and why it works! With this team, ideally the aim of the game is to abuse the likes of Tailwind, Unburden and Dragon Dance to boost Speed on what are otherwise generally tanky Pokémon. Utilising said bulk with Speed boosts then builds a somewhat sturdy win condition that doesn’t require a strategy to play around its frailty. Instead you can safely boost these sweepers to then clean up and make light work of even the most fearsome contenders in the OU metagame. Ampharos-Mega is a prime example of said bulk in action: with Tailwind up it outspeeds and then 2HKOs specially defensive Heatran even if it switches in. Due to the bulk of this set, Heatran just manages a 3HKO with Earth Power, whereas Focus Miss on Ampharos is a guaranteed 2HKO. Slow Volt Switches and its inherent bulk means you can safely scout sets and swap in your very own sweeper/support Pokémon, whilst soaking up damage with 252 HP and a very defensive typing in Electric/Dragon. With this in mind, instant problems crop up in the form of Tapu Bulu and Landorus-Therian. This is where our Whimsicott set comes in. Put those magic glasses onto Whimsicott and watch it shred up those awful counters. Choice Specs gives Whimsicott the boost it very much needs, tearing through and managing a OHKO on both Landorus-Therian and Tapu Bulu (unless Bulu manages a lucky Wood Hammer predict). Moonblast and Energy Ball are good high power STAB moves, whilst HP Ice and Hurricane are specifically for Landorus-Therian and Tapu Bulu, although of course will deal with any similar Pokémon. Whimsicott can get walled very easily by the likes of Ferrothorn and Heatran, but this is where partnering with Ampharos comes in, who can cover these very sufficiently with Focus Miss. Infiltrator over Prankster means that we can abuse Alolan-Ninetales on the turn it sets up Aurora Veil and in turn 2HKO it with Moonblast. Cottonee is our first support Pokémon, coming with a very niche moveset specifically designed to help our sweepers out. Due to its lack of bulk, this Pokémon is all about reading the situation and using probably one or two moves at best to set up the rest of your game. Tailwind will generally help pump up any sweeping potential with a +2 speed boost, meaning Pokémon such as Whimsicott can utilise Modest as opposed to Timid natures, etc. Z-Memento and Memento in itself provides a heavy debuff, resetting or crippling enemy sweepers whilst providing a free switch-in for any of your bulky Pokémon and a free turn to set up. Leech Seed and Stun Spore provide more utility on the proviso you think you can survive enough to then fire off a Tailwind. Altaria provides a second answer to Heatran and Toxapex, as well as special walls such Chansey. 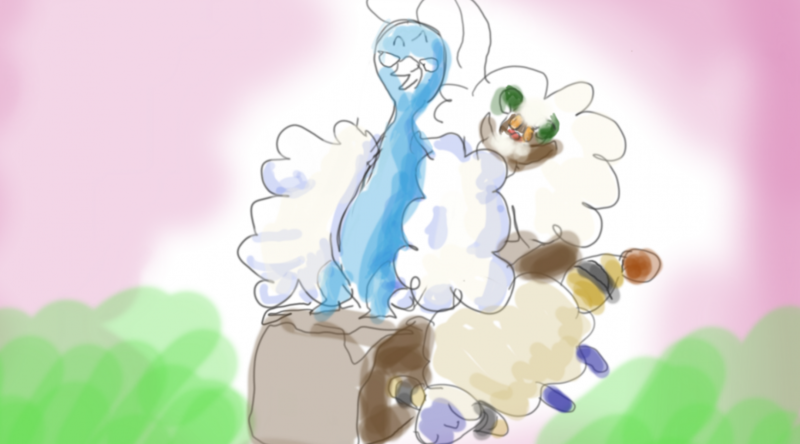 Again bulk is favoured here because Speed will be increased by Dragon Dance and/or Tailwind, therefore more bulk and recovery in Roost and Leftovers is beneficial to ensure a seamless setup for Altaria. If you’re feeling risky, you can swap Roost for Play Rough, enabling you another neutral option for some of the Fairy Pokémon in the tier. Natural Cure means if a burn or paralysis comes our way, we can swap out as necessary into the likes of Cottonee and remove the status ailment, as well as potentially get a nice switch in via Memento. Slurpuff is a second physical sweeper and more importantly one which can set itself up rather nicely, if for any reason your Tailwind support is dead, Unburden gives a free +2 Speed Boost and after reducing your health to activate the Sitrus Berry via Belly Drum, you suddenly have a +6 Attack +2 Speed sweeper coming your way. Self-sustain and pressure against Steels with Drain Punch, STAB in Play Rough and neutral damage with a 102 BP Return give Slurpuff very nice options to stay alive and clean up towards mid/late game. Aromatisse is our cleric, providing both Wish and Heal Bell support to keep our bully Pokémon even healthier, allowing us to employ a siege-like Stall playstyle if needed, chipping away and healing as needed. To stick true to the team’s playstyle, Calm Mind and Moonblast create a tanky Aromatisse that hits most of the tier for at least neutral damage and hits hard once a few Calm Minds gets stacked. So that’s the team! I hope you have as much fun and success as I have had with it, please let us know how you get on, or what you think could be improved to make this even better! As a lexicon enthusiast and Proofreader for PokéCommunity Daily, Aaron will be seen ripping apart anything article-related. Quite the barbarian. Otherwise, you'll find him listening to twentyonepilots on Dubtrack, drowning in his huge gaming backlog or pondering over which Stephen King novel he should read for the 1000th time.